The British man who was pictured grinning after being arrested by Koh Samui police for putting ganja in his Tom Yum is not smiling anymore. Gary Coughlan, 58, who has run businesses in Thailand for more than two decades, has been arrested for not renewing his visa. He was on a six day overstay and is now in the custody of the Bo Phut police. 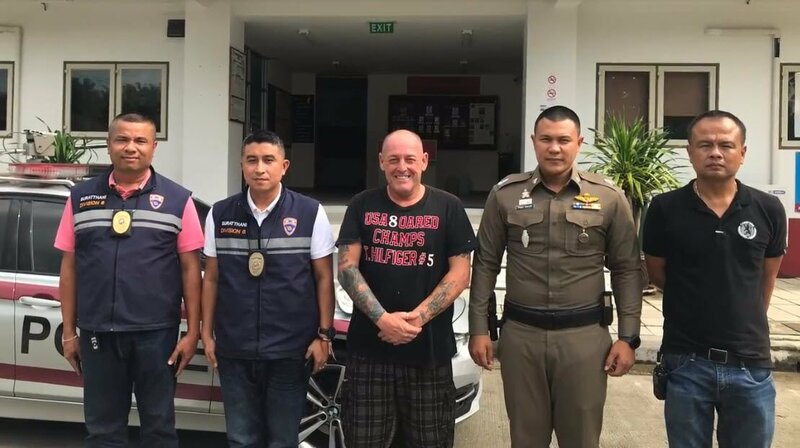 Coughlan was swooped on by a large contingent of cops on Thursday as he drove to the Aloha Resort Hotel in Maret sub-district of Koh Samui. He was staying there after failing to return to his house and failing to renew his long term visa. Cops asked to see his passport and he could not produce it. 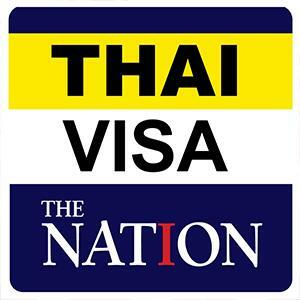 Checks revealed that he had entered Thailand on a 90 day temporary visa that he had later changed to a long term visa. But this had expired on the 18th. Thai media reported that earlier in January the local court had fined Coughlan 5,000 baht for taking drugs. He had been stopped at a checkpoint and admitted to sprinkling ganga in his Tom Yum to help him sleep. A urine test had nailed him. Thai media also reported that a neighbor had reported him to police on the holiday island just after New Year for fleeing the scene of an accident. The Thai neighbor also claimed that Coughlan had threatened to kill him. It is not known what action, if any, was taken in relation to those matters. Coughlan is now in the hands of the Bo Phut police after his arrest on overstay.